Halesowen Double Glazing carry out all Double or secondary Glazed windows and doors, conservatory and conservatory roofing repairs including a misted, or broken glass sealed unit, a faulty door or broken window lock, a letterbox, a cat flap or dog flap, a broken handle or a hinge repair, a faulty gasket or rubber seal, missing or discoloured plastic trims, a faulty locking mechanism or faulty cylinder, a conservatory roof panel replacement, or Double glazed window repair, door replacement and door refurbishment and locksmith services. Double glazing repairs in and around Halesowen West Midlands. If you have misted up double glazing units this means that the unit has failed. 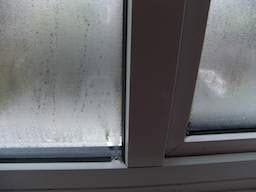 Misted glass occurs due to the failure of the seal of the double glazed unit. With Double Glazing window repairs, misted units can be easily replaced. 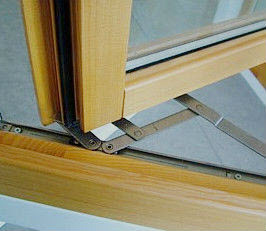 Hard to open/close or draughty double glazing windows can be fixed, usually with replacement hinges or Gaskets. If you’re having problems opening or closing your window, a new window is very expensive, when simply changing the window hinge will return your window to its original working condition. We can change your door locks, whether it’s due to worn, broken or faulty locks. Handles (once identified and traced) are fully replaceable for UPVC and aluminium patio doors and are available in white, silver and gold. Restriction systems can be built into your hinges, or more commonly it’s a hidden part in the window frame, or alternatively can be face mounted – but in all cases it allows you to safeguard your children from the dangers of open windows. The roof of a conservatory is undoubtedly the most vulnerable part of a conservatory and one of the most common problems is a leaking conservatory roof. Typical causes of a leaking conservatory roof include inadequate flashings, slipped roof panels, loose cappings and leaking roof vents. Whether your roof is aluminium or UPVC, we can assess the problem and then carry out the repairs, sometimes within our first visit. Halesowen Double Glazing can reseal, repair or replace your polycarbonate or glass conservatory roof. Double Glazing Halesowen renovation service will transform any tired, neglected or damaged conservatory and inject a new lease of life. Whether your conservatory is in need of a cosmetic face-lift, or corrective repair work. We can solve any problem you have even if we have not listed it above. Call one of our friendly team today to arrange a convenient time for us to call round.